All-Terrain Vehicles (ATVs) are either three or four wheeled motorized vehicles used in recreational and work related outdoor activities. Most ATVs are used for “off-roading” or riding in natural conditions. Remember, many ATVs can go as fast as 55 MPH and can weigh as heavy as a quarter of a ton. The dramatic rise in injuries relating to ATV accidents is concerning to government officials who are slowly attempting to take regulatory steps to stem ATV accidents. Unfortunately the rise in injuries and deaths keeps growing, especially in children and young people who ride on the ATVs recreationally. Experts contend that one reason for the rising death and injury rate is that the ATVs are becoming heavier, stronger, and much faster. Since many young people have not handled vehicles of this magnitude, the results can be especially serious. Many government officials are saying that age plays a significant role as a cause of ATV related accidents. While dealers and manufacturers continue to push the limits of power and weight, more and more people are becoming killed and injured on ATVs. 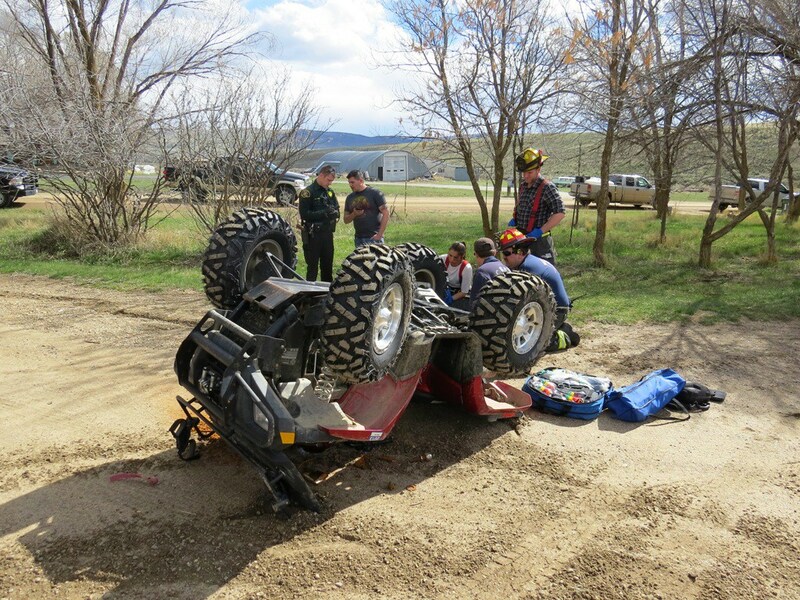 Drivers under the age of 15 are over 2 times likely to lose control of their ATVs. Most ATV deaths result from the vehicle overturning or hitting something. Risk factors can be reduced when riding on ATVs. In many states there is no minimum age for ATV riders, nor are helmet safety laws in place. Many injuries occur without adult supervision, helmets, and on ATVs over 90cc. Often, dealers offer optional instructions and classes on how to ride ATVs. Many people do not take these classes, or the dealers do not give adequate training, however. The majority of ATV deaths and injuries are preventable. There are several governmental debates currently occurring over how to create federal guidelines for ATV safety. Dealers and manufacturers tend to be against regulating ATVs. ATV accidents are so dramatically on the rise that some type of regulation seems inevitable. Until that time, though, children and young people are continuing to suffer the effects of ATV accidents. Some 75% of the ATV accidents result in serious damage to the head or spinal cord of the accident victim. Head injuries are a major cause of serious life threatening or lifelong physical problems and ailments. Injury to the spinal cord can result in paralysis of the entire body for life. If you or someone you know has been injured, call Danno Law Firm, P.C. at (406) 755-4100 for a free consultation to discuss your accident case. You may also write to us by filling out the form on the "Contact Us" page.